Working in a small kitchen can create many daily challenges in any home, so how do you make the best use of your small kitchen? 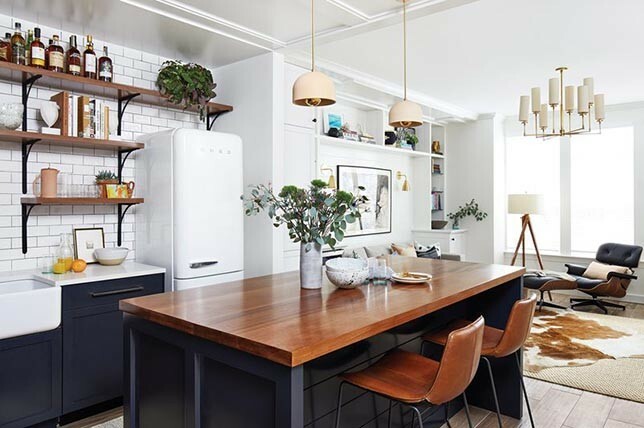 To help inspire your every day, we turned to Décor Aid interior designers and renovation experts for their takes on smart small kitchen ideas. 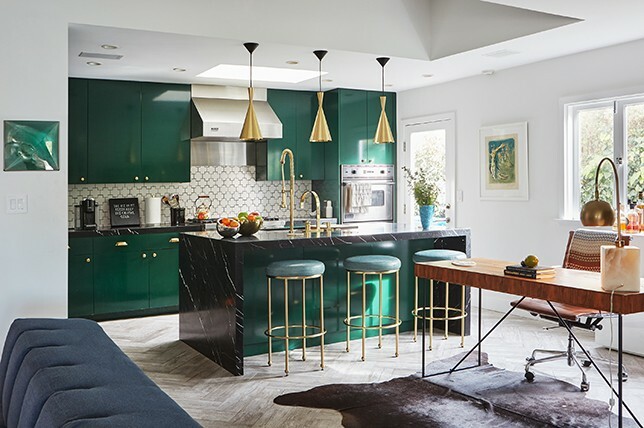 After all, just because your kitchen is small doesn’t mean that you should skip out stylish design and smart kitchen solutions – quite the contrary instead. 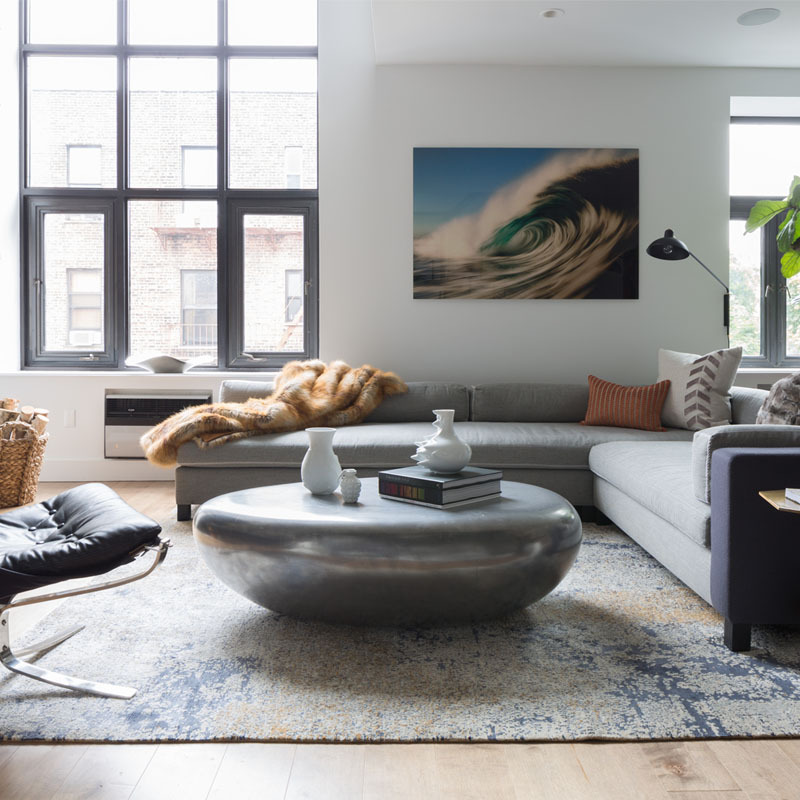 From the best floor plan for a small kitchen to the modern materials that’ll make it unique without costing a fortune, here’s everything you need to know to make the best use of the space you have to work with. When our clients first come to us about small kitchen ideas they often assume that their upgrade will involve a quaint and idyllic country-inspired kitchen, without even think about the flexibility of minimalism in any room. 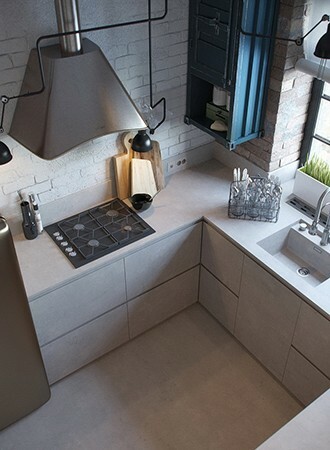 That said, a small kitchen doesn’t always have to be sweet and charming as you can introduce a touch of the industrial into them, for a surprising impact that’ll also make it feel unique. An affordable polished concrete floor or even a polished concrete countertop will add a distinctive sense of timeless modernity in your kitchen while remaining sturdy, and built to last a lifetime and beyond. 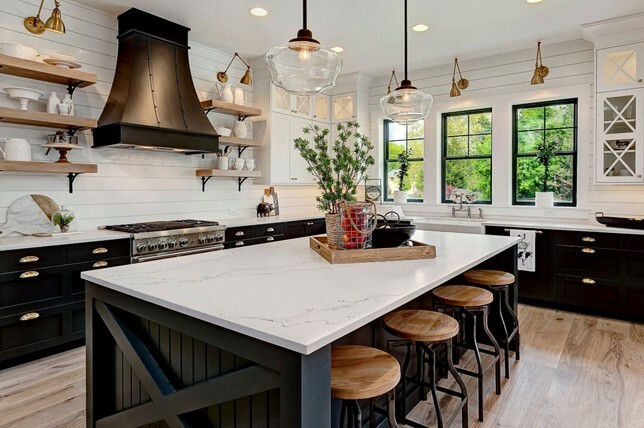 Introduce some everyday elegance and style into your small kitchen ideas with oversized pendant lighting to make the space appear larger then it is. If your kitchen is simple in style, add a burst of high-shine metallics with a bold light fitting, making it a feature of your kitchen in an area(above head) that will never be used for anything else. Interesting scales, contrasting materials like crystal and brass, and filigree chain extensions will make your kitchen lighting a standout and will never go out of style or seem dated. You might think that the only cabinet color that’ll work in your small kitchen is standard white, but you can be much more explorative when looking to make it unique to you. Think of it this way, as long as the foundation of your kitchen is white, like the flooring or walls, then you have plenty of freedom to explore other decorative kitchen paint colors. 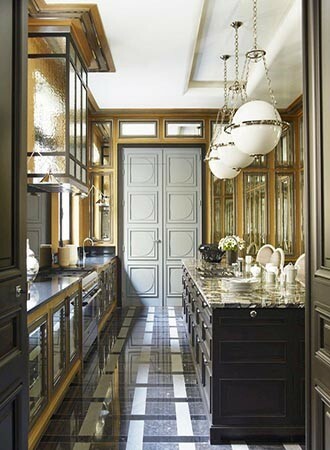 In fact, darker cabinets can work to add depth in a small kitchen while making it feel intimate and inviting. Charcoal is a deep, timeless color choice that will instantly add more dimension in your small kitchen ideas and designs. Not only is it unexpected, but it will also help your kitchen feel less clinical, and it is a surprisingly flexible color to work with. 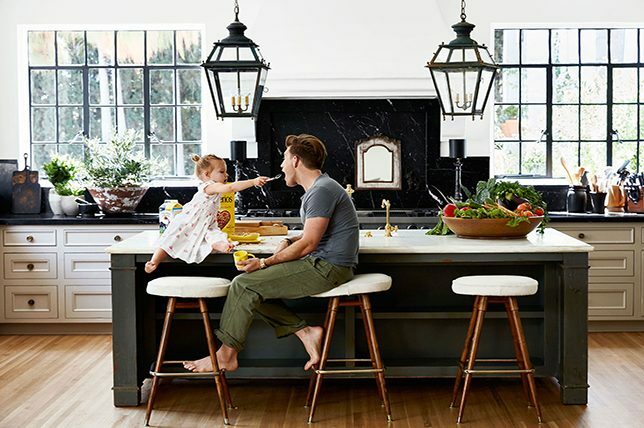 Plus, since smaller rooms look messier faster, an all-white kitchen could run the risk of highlighting daily messes and architectural blemishes. 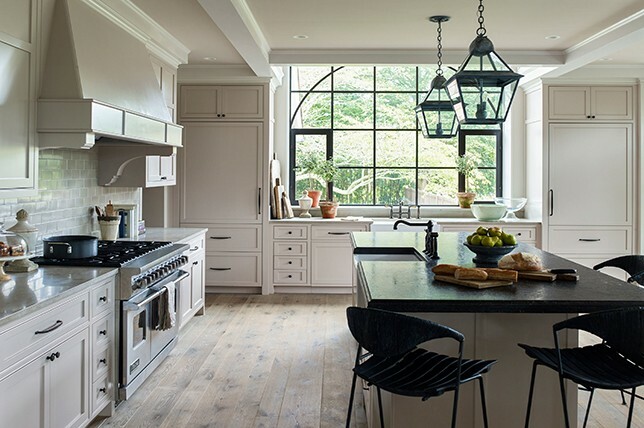 Now that we’ve just told you to go for darker colored cabinets, on the complete flip side of that, a creamy color scheme will also create an inviting allure, albeit one that embraces the charm of a country-inspired kitchen. Embrace the fact that your kitchen is small by elevating it into a sweet, country kitchen realized in a soothing cream hue. 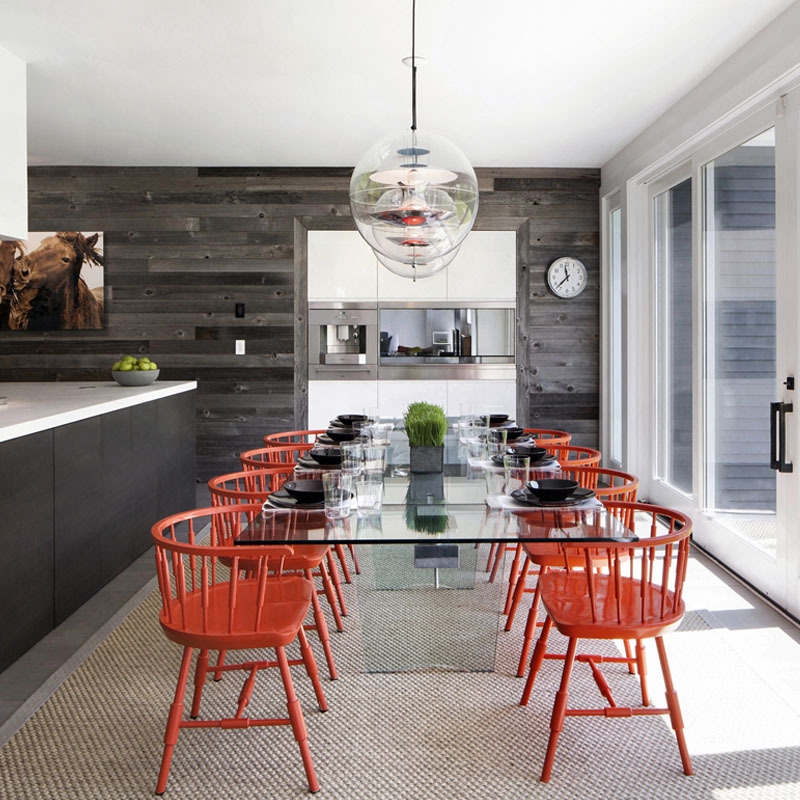 Wood paneling and wood surfaces will make for a comfortable and cozy feel, and when it comes to small kitchen ideas, that itself may be easy enough to pull off, but even better when the outcome makes your kitchen feel as spacious as possible. 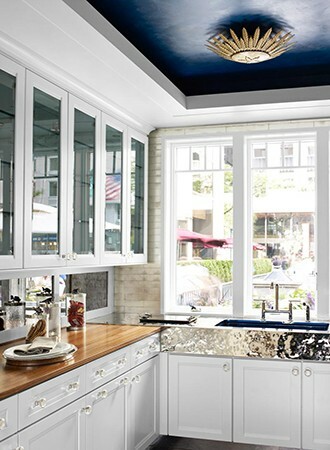 In a cream kitchen up the everyday glamor factor with high-shine accessories and crystal pieces when possible. Bring your small kitchen space to life with an eclectic array of striking black and white Moroccan kitchen tiles for your floors or backsplash. They’ll help your small kitchen feel larger, more well-judged, and unique. 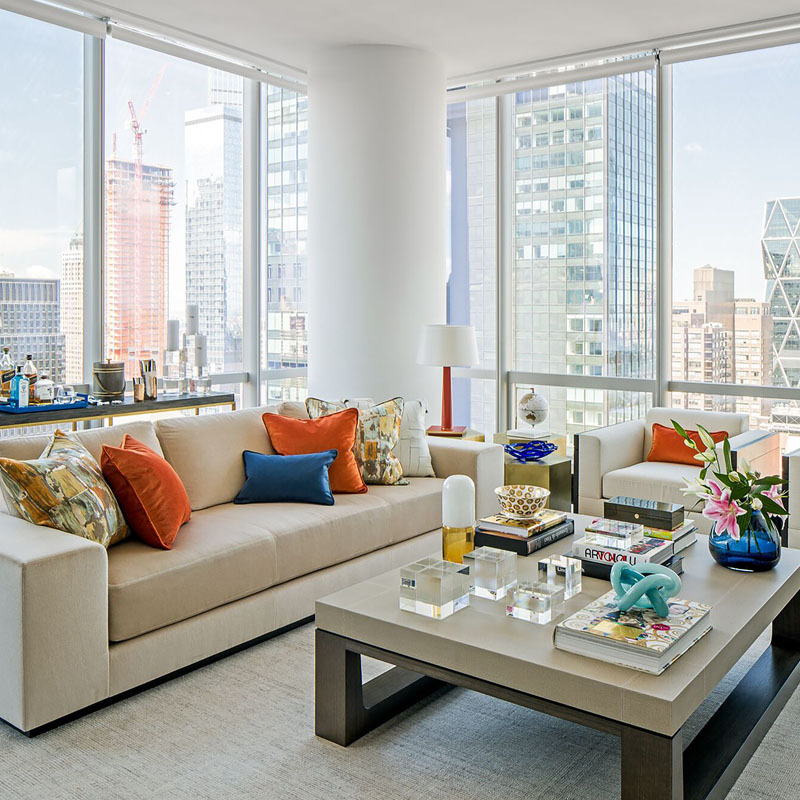 And since they can be found inexpensively, they also won’t break the bank though can make any space look more luxuriously expensive. As when it comes to decorating a small kitchen, ideas like this can reap huge rewards when looking to resell your home. And they will never go out of style. If you want to make your small kitchen look bigger, having glass-fronted cabinets at one end will open up the room and give the appearance of it being wider – and almost if you are looking out of a window. 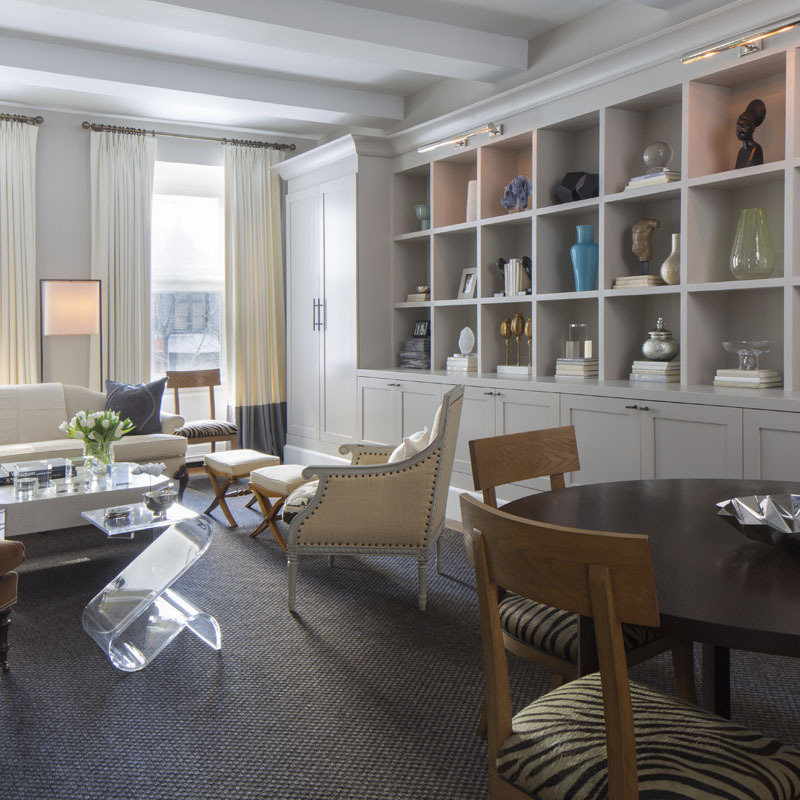 Glass fronted cabinets will open up your space, providing a reflective surface to bounce the light around… you just need to make sure you put everything away neatly. And they’ll make finding what you need all the easier. Even better if they are crystal cut glass or boast some kind of interesting surface feature to make them look all the more expensive. You might not immediately think of installing wallpaper in a small kitchen, but you’d be surprised at how much larger a simple covered accent wall can instantly make the space feel. And since most kitchen wallpaper is specially coated, stopping anything from sticking to it while making it easy to clean, it makes for a viable option. 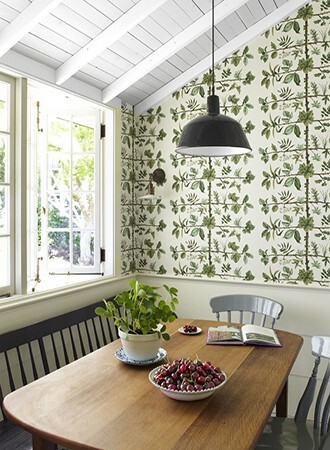 From oversized to small-scaled prints, kitchen wallpaper can help to easily transform your space while adding needed personality, print, and color. Wallpaper is also great if you are looking for interesting small kitchen ideas on a budget, as wallpaper can be found relatively inexpensively. 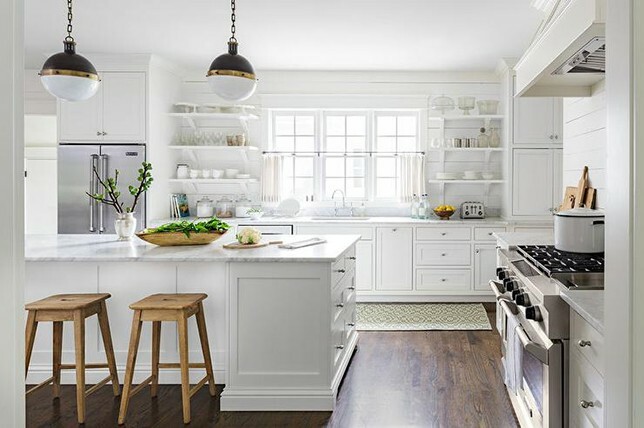 If you’re looking to keep your small kitchen ideas and designs light, bright, and airy, then classic white is the obvious option. Go for an ultra-modern set of sleek cabinetry to lend your kitchen clean lines and minimal fuss, allowing the eye to move without pause from one side of the kitchen to the other with ease. 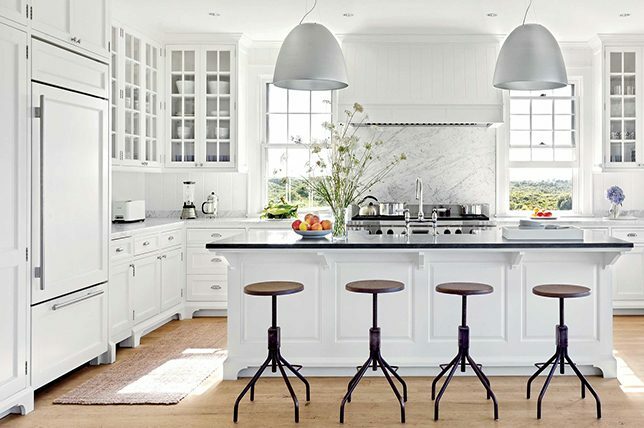 And again, a white kitchen will remain timeless in feel and will help when you are looking to resell your home since it boasts universal appeal and pairs well with just about any design style, from the modern and minimal to the classic and traditional. Knobs and handles on kitchen cabinets do a great job of breaking up the fluidity while making it easier for you to pull them open. But if you want your kitchen to appear as spacious as possible and fool the eye into making it look bigger, take a cue from a contemporary gallery and go for ultra-smooth surfaces. By choosing kitchen cabinets that you can press to open with ease or ones that have discreet grooves for you to use as handles, you may just trick guests into forgetting where they are in your home. As when it comes to decorating a small kitchen, sometimes it pays to be as explorative for inspiration as possible. When working on making a challenging small kitchen all the more unique and layered, flooring and ceiling alternatives are where you can be more playful. 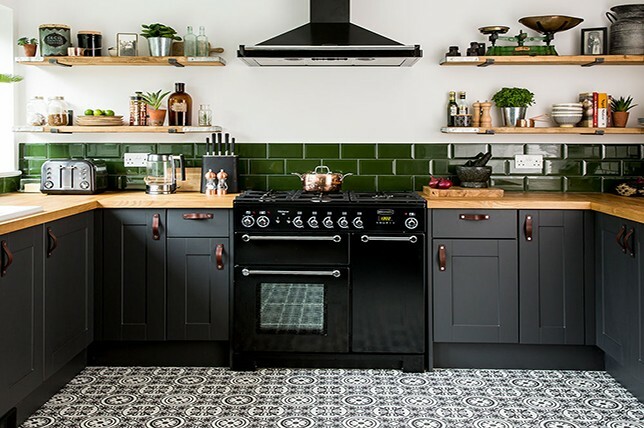 Black and white checked floor tiles are a visually striking way to bring in some tried and true retro-inspired charm into your kitchen. 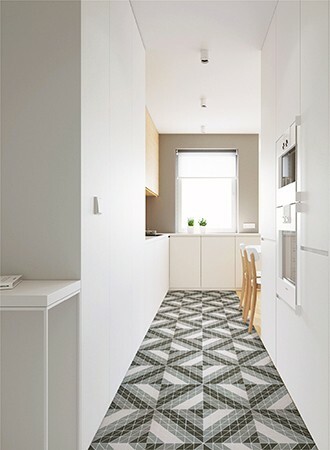 Use black and white checkered flooring to add some style in your kitchen without taking up too much visual space to distract the eye thanks two the use of two classic colors combined. Checkered flooring will also make it appear larger and will help to keep it looking cleaner than say, an all-white floor would. 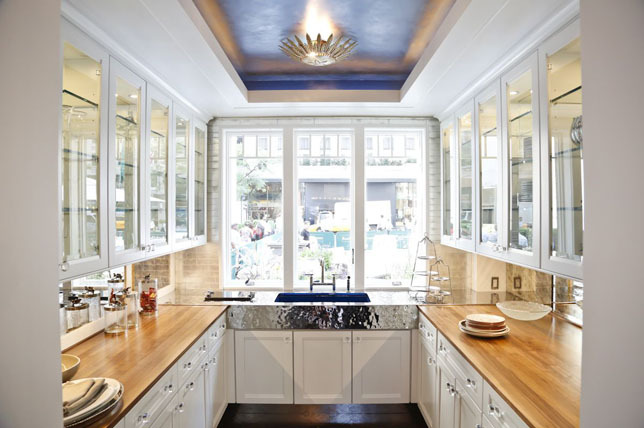 Aside from flooring and wallpaper, painting your ceiling a color other than white makes for a great take on unique small kitchen ideas that won’t cost a fortune. 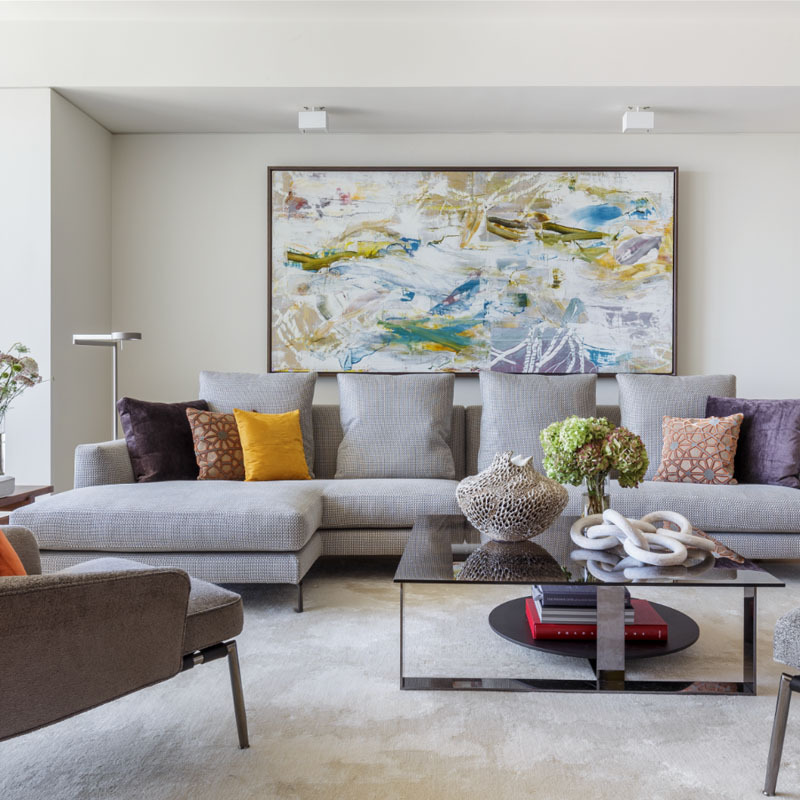 The great thing about having your ceiling painted a different color, is that it can make your ceiling feel higher, which is a great way of tackling the proportions of a small room. 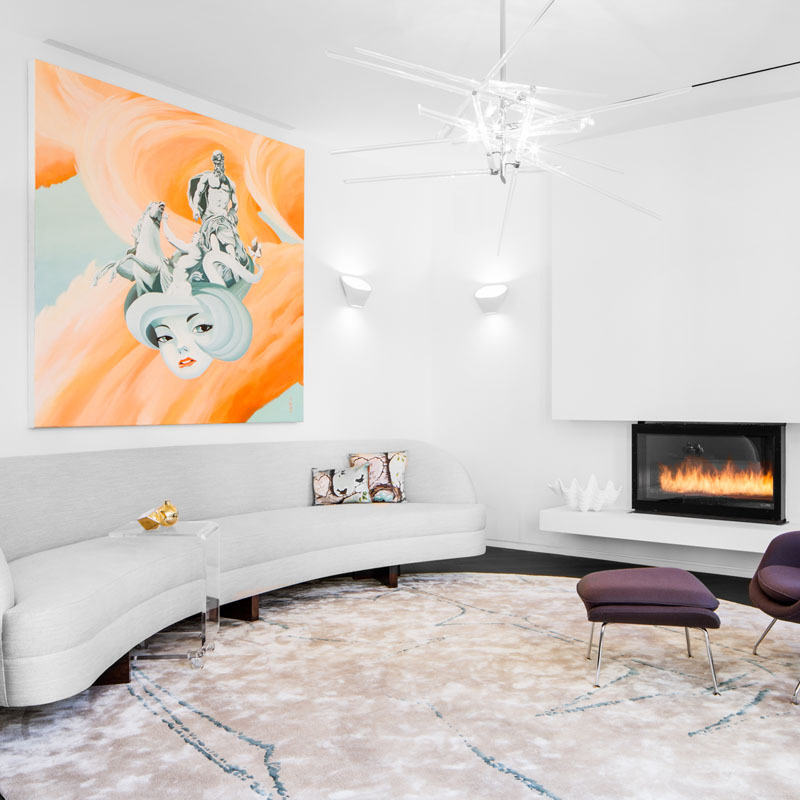 A painted ceiling will make the room feel cozy yet extra-wide at the same time and will make the space look more expensive and one of a kind to boot. Embrace your small space with some unexpected brightly colored cabinetry. When it comes to decorating a small kitchen, sometimes the more playful the better as you’ll trick them into being drawn to other aspects of the area. 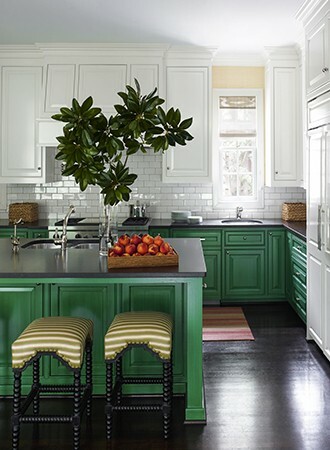 Go for cabinets in a bold yet timeless color, and a backsplash in a more subtle hue. 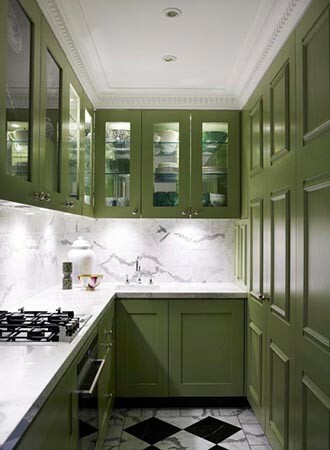 We like how the kitchen featured above pairs rich green lower cabinets with white upper ones to make the room appear larger and more well-designed at that. 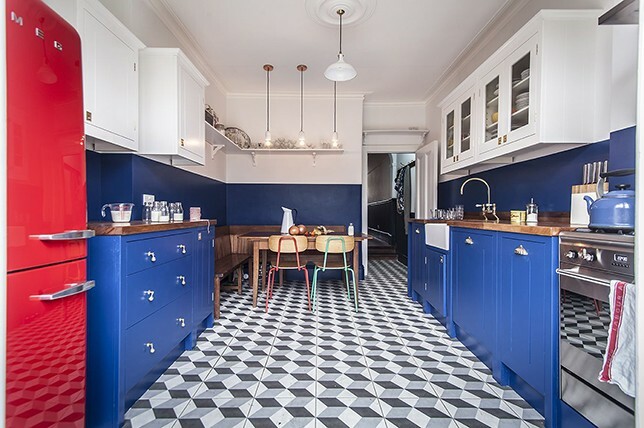 Choosing a flooring option which is a little out of the ordinary is great for small kitchen ideas and designs as in petite spaces you can afford to take more design risks without coming off as heavy-handed. You can team a bright floor with white or light cabinets, getting injecting much-needed color into your space, without closing it off. 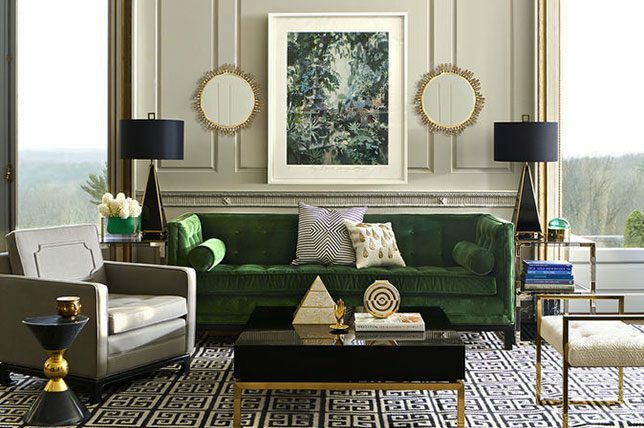 Or you can opt for a striking tonal pattern like a herringbone wood or painted stripes for a symmetrical feel. 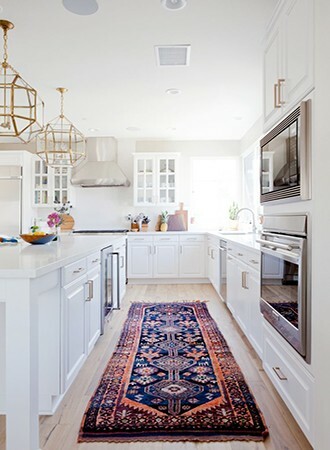 You might shy away from the thought of having a rug in your kitchen space, but it’s an interesting and fun way of adding some vibrancy to small kitchen ideas and designs. 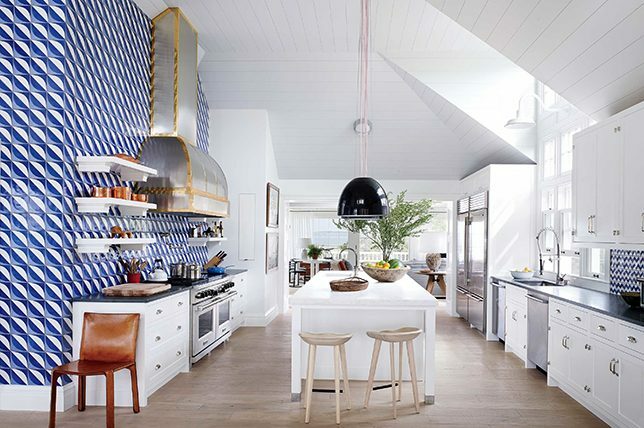 A patterned rug will look great if you have an all-white kitchen that you want to liven up, and if expenditure is a concern, it’s a route that makes for great small kitchen ideas on a budget. Just be sure that yours is easy to clean, so opt for a kitchen rug in darker tones so they won’t highlight daily wear and tear and surface stains. Of course, it should go without saying that a minimalist route is almost 100% foolproof when considering stylish and timeless small kitchen ideas. 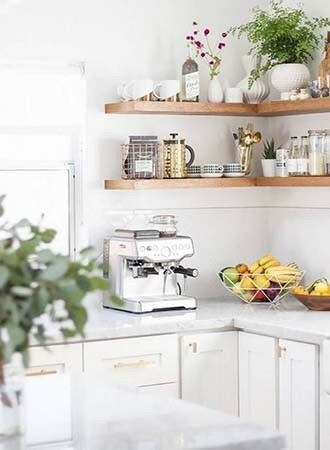 When it comes to organizing a small kitchen, ideas to work with can seem thin – but making sure everything is off the surface and has a place, is a sure-fire way of opening up the space. 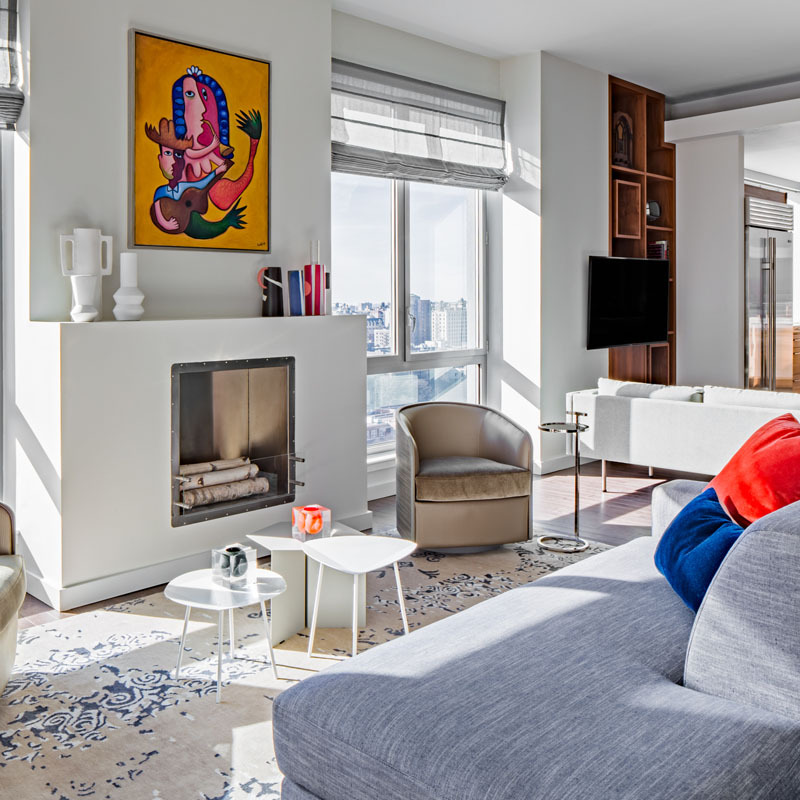 Go for all-white cabinetry and surfaces, and accessorize here and there with bold and bright hints of saturated solid color. 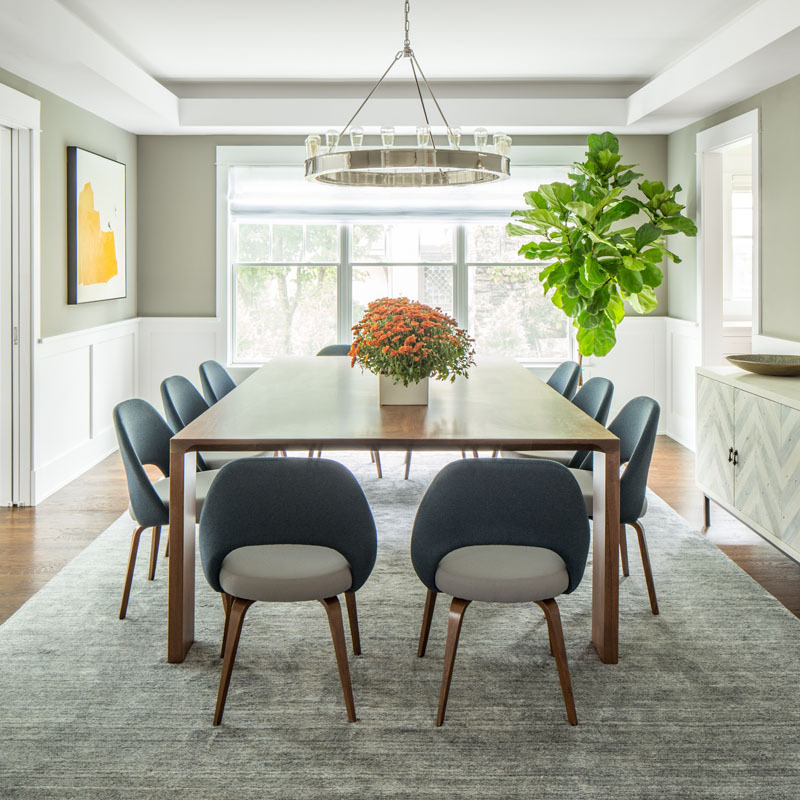 Dining tables can take up a lot of space and you don’t have a lot of space to work with, maybe its time to give on the idea of filling your space with a cumbersome table to seat six. Instead, source a charming bistro table and place it in a corner. Not only will it serve the purpose for two people dining, but it will help you better use the space you have to work with as well. They are great for small kitchen ideas on a budget, as a bistro table and two chairs won’t set you back too much. And if you happen to move, the small scale of a bistro table will make it a perfect accent table in just about any room. Don’t let any wall space go to waste when considering the best small kitchen ideas. If you have an expanse of a wall without any cabinets on it, invest in some open shelving. Not only will it create extra storage space but you can arrange everything stylishly on the shelving and make decorative kitchen shelf art out of your everyday items. Make a big stylish statement with your pots and pans by hanging them from hooks on a rail, or on a rack suspended from the ceiling. 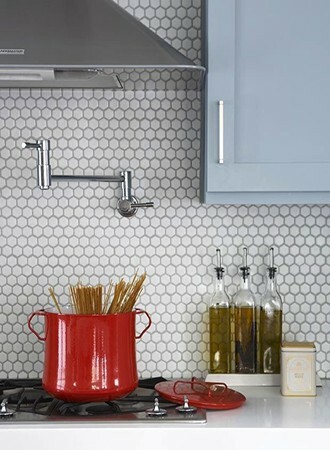 When it comes to organizing a small kitchen, ideas which save you space are of course essential. 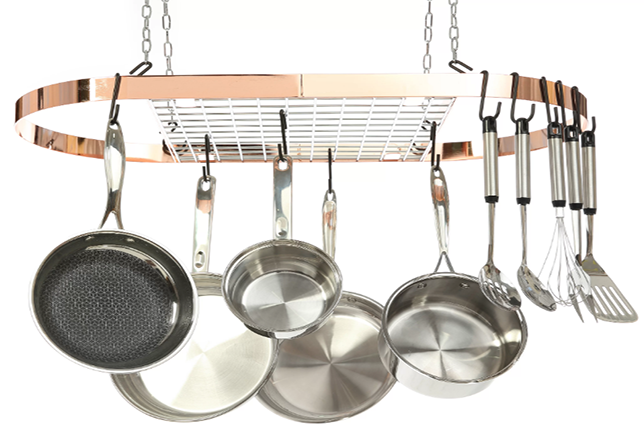 Not only does a hanging rack help you save space, it’ll also create a stunning display out of your best yet bulkiest cookware while allowing for more storage space in your cabinets. 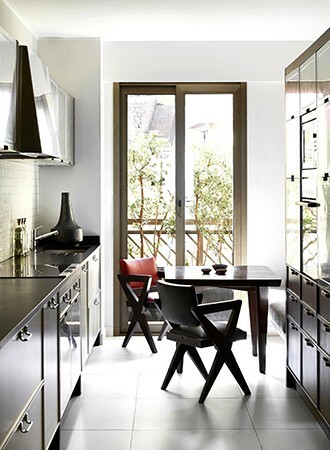 If you have no space for a dining table, create a place to eat by adding a slim overhang on your countertop. When you are ready to eat, pull bar stools up to the counter, and when you are done, stack your bar stools out of sight – so no space wasted. 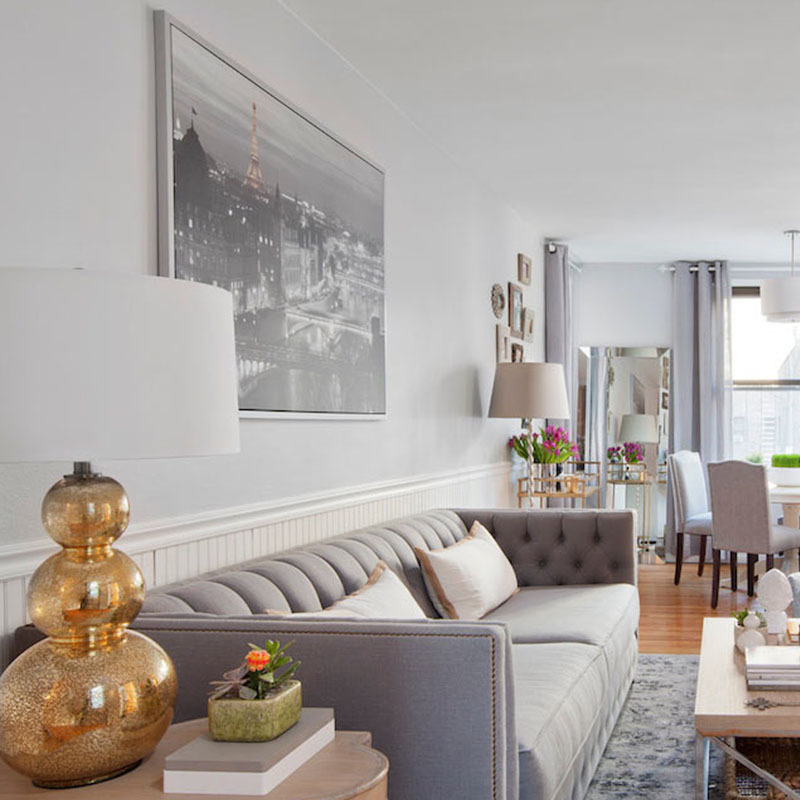 This spot can also double for working on when you need extra counter space and it’ll make for a cozy conversation area.